​You've heard from the heroes. You've pitied the princesses. Now, the villains are speaking out. ​This is a supernatural fantasy tale about a very special little girl called Anna who lived in a large Manor house by the woods, with her Mum, Dad, two dogs and.... 3 goblins! Anna could talk to animals and see supernatural creatures like goblins, fairies and other strange creatures. The goblins who live hidden in the basement of the old Manor house were always up to mischief. They hated that Anna could see them & would get up to all kinds of tricks to drive Anna and her family away. No one believed Anna when she said that the goblins were the troublemakers, they thought that she was just a naughty little girl making up stories. Anna’s dog, a snowy white pup called Casper felt so sorry for Anna, he knew that she was a kind girl and would never do anything nasty to anyone. He knows about the mischievous goblins and tries his best to help her. But Casper’s Mum Lilly doesn’t want him to interfere with them, she knows that goblins can be very nasty if you mess around with their plans. 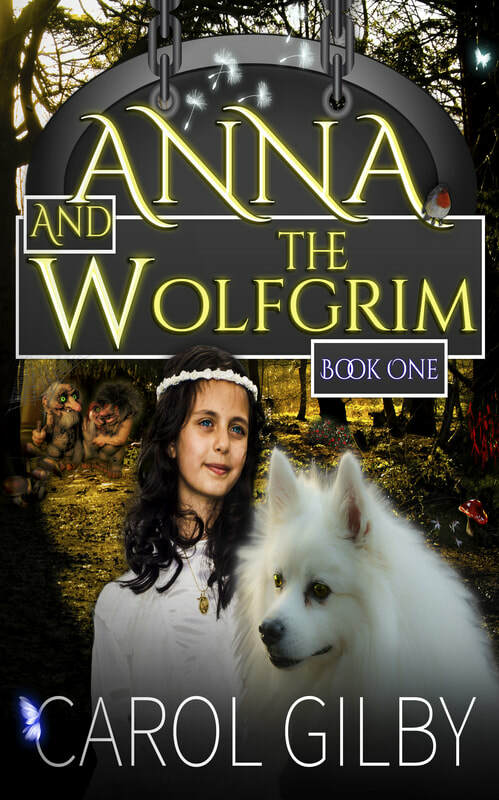 Lilly also had a big secret, her family was descended from the Wolfgrim, white wolves and fierce warriors are sworn to defend against evil supernatural creatures. She was desperate to keep Casper's secret safe until he was old enough to become a Wolfgrim warrior.